Want to know what the inside of one of these hybrid racers is like – see the photos. Who’s going forward to change sails? 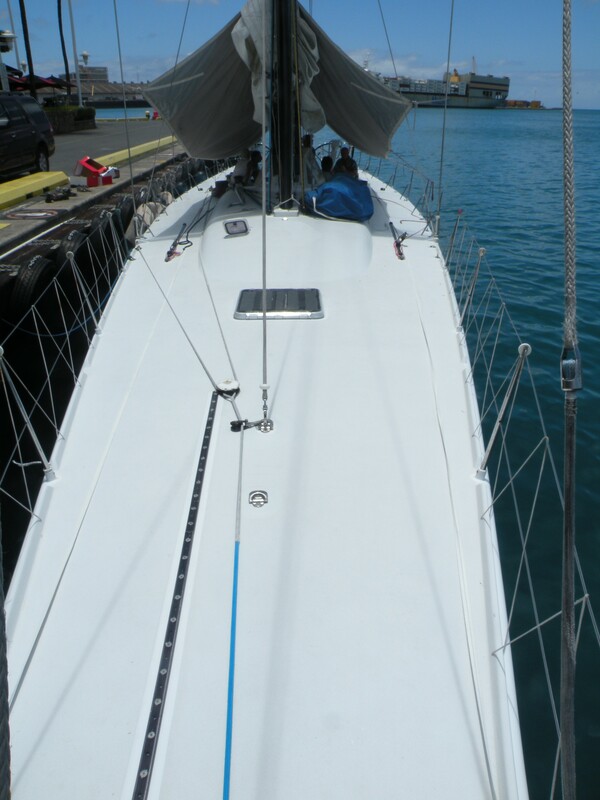 We got onboard one called Magnitude, an 80 footer with 20 foot draft. Not exactly a cruising boat but certainly interesting from the perspective of racing across oceans. 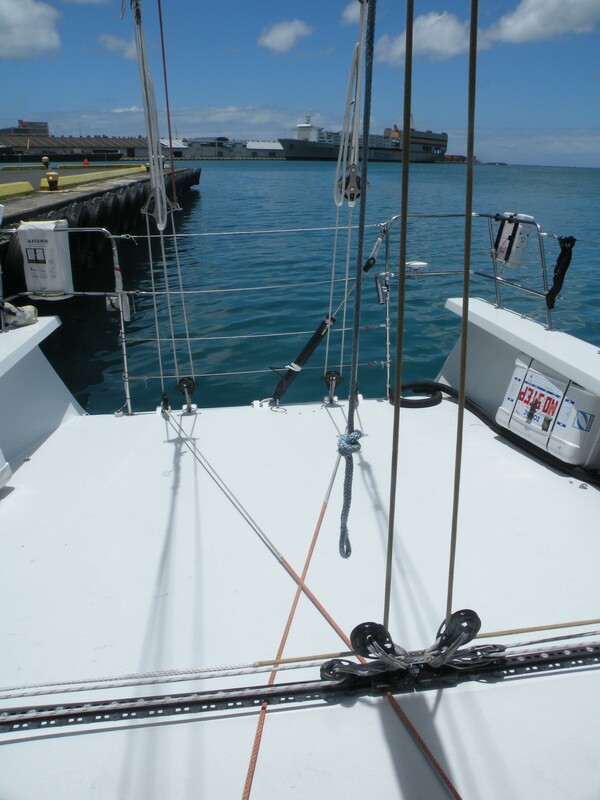 She couldn’t even get into the Ala Wai Yacht Harbour due to her draft and had to moor in the commercial port. Definitely not a toy for the average sailor with a small wallet. 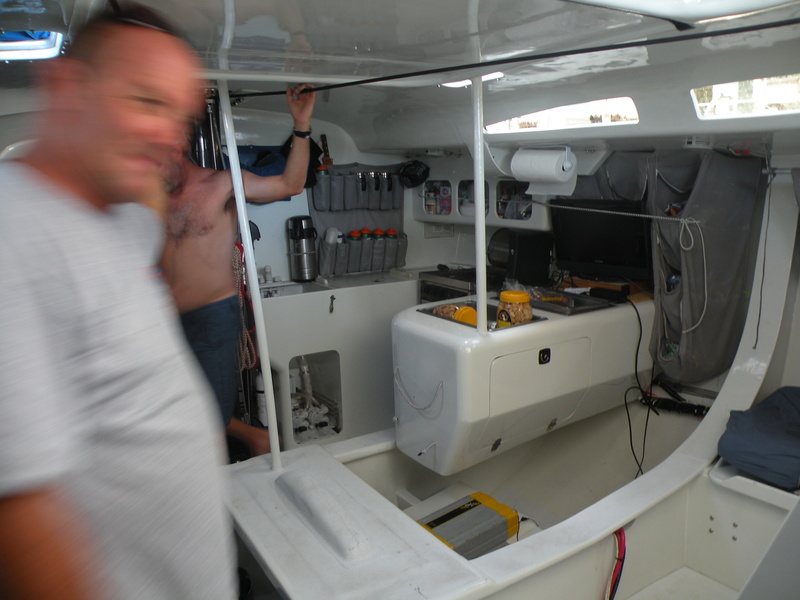 However, it’s always interesting to look at these boats as they test the limits of a boat at sea and much of the equipment on cruising boats these days come from experimentation on offshore racing sailboats that push all the limits. The big difference is that these boats come with professional crews that sail these boats year round in races around the world. Anyway here are a few pictures of the interior. I have nothing under sail as haven’t yet had the opportunity of sailing onboard one of these machines but perhaps sometime in the future may get a chance! Going down below all one can think of is how far am I going to be thrown across this boat when it’s doing 18 knots? Or how do I find a place to sleep? It would also be quite noisy. These boats are made out of hi tech fibres of carbon and epoxy and I think it would be like living in a drum. 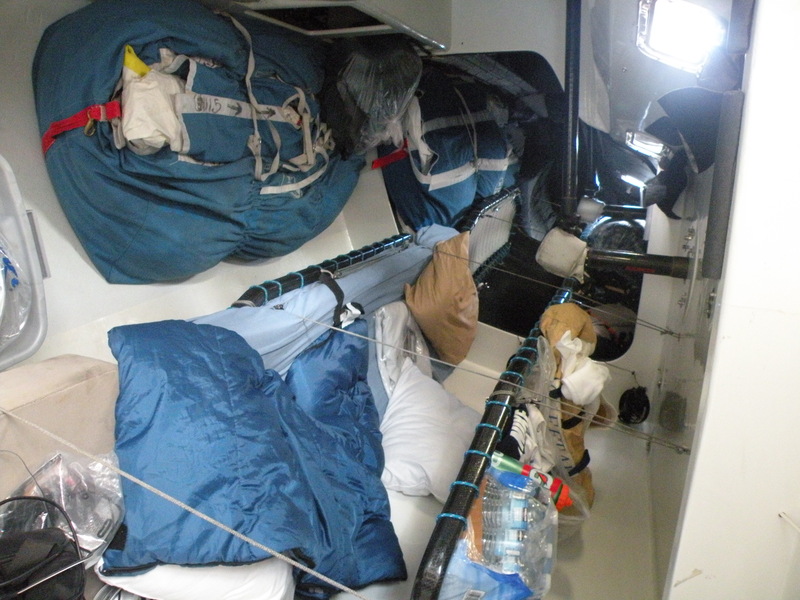 However, there are spaces to go and hide and the galley is certainly well equipped for sailing offshore. That brings us the end of transpac. Most of the boats have now left and are returning to the mainland. A tough trip as they have to go north for about 800 miles before turning east to the mainland so as to avoid the pacific high. 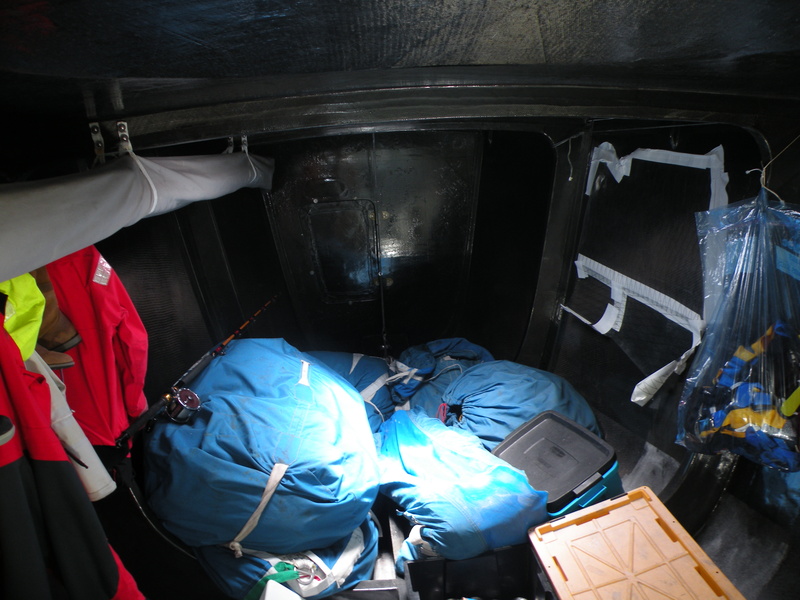 Some of the boats strapped on a lot of fuel and imagine their plan is to motor through the north pacific high thus shortening the total distance needed to go. 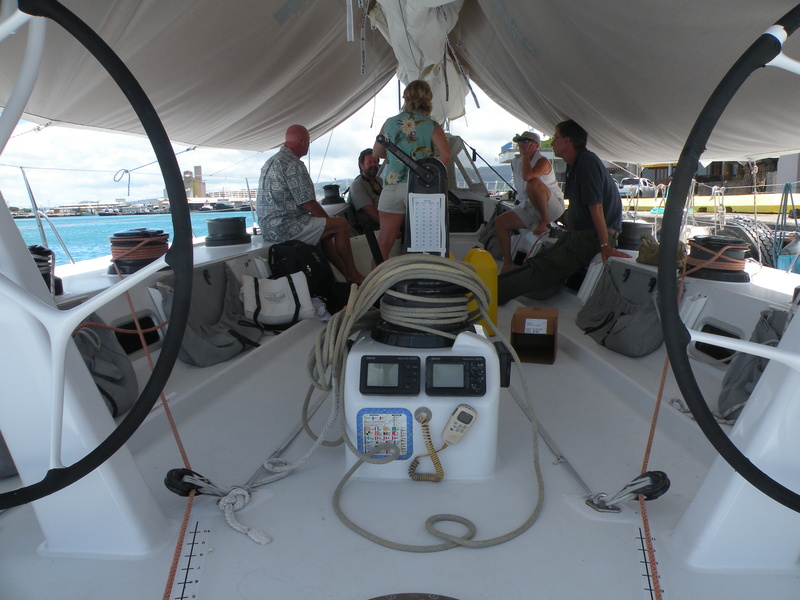 It will be another 2 years before the transpac returns. Next year is the Victoria to Maui race…. one for the boat and two for the cocktails!